As the largest and busiest city in Vietnam, Ho Chi Minh has also been crowded with thousands of vehicles on the road as well as millions of people on the street. Having to say, it’s hard to find somewhere exciting but also peaceful and fresh, isn’t it? Then, let us show you a place where you would love to visit it – Nguyen Hue Walking Street in Saigon. Nguyen Hue Street is located in the middle of District 1 which is a very attractive and luxurious downtown area in Ho Chi Minh City. 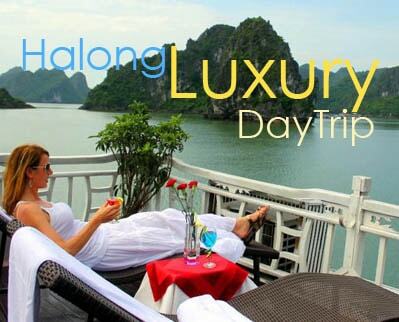 You can find it absolutely easy to reach here by going straight ahead on the one-way Le Thanh Ton Street and turn left at the Ho Chi Minh People’s Committee or driving on Ton Duc Thang Street along Bach Dang Wharf and turn right on to Nguyen Hue Street. 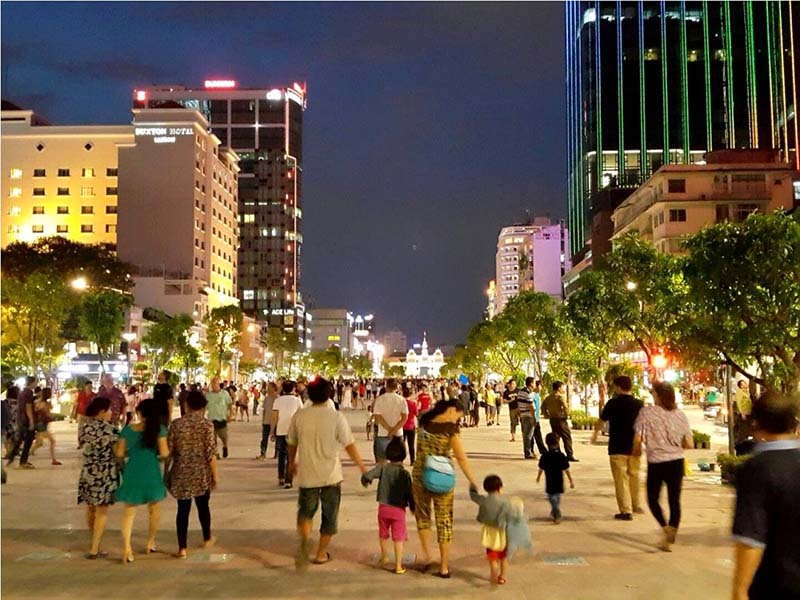 Though its name is the pedestrian street, Nguyen Hue walking street is held on Saturdays and Sundays evening, it will prevent any vehicle from driving through but only people walking. Being the biggest road of Ho Chi Minh City, Nguyen Hue Walking Street spans 670 meters from the Ho Chi Minh City People’s Committee edifice to Bach Dang Wharf, respectively, and measures 64 meters in width. What’s different about this compared to any streets in the area is that it is installed with automatically-operated mist-emitting systems and lined with over 200 trees and 122 large tubs of flowering creepers. That creates a greenish landscape for the whole street and eases your mind whenever you come there. 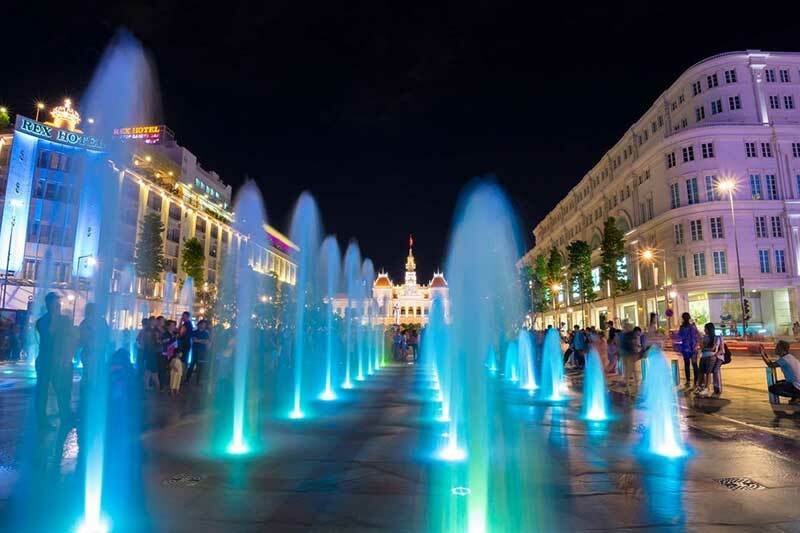 The best time to reach Nguyen Hue Pedestrian Street is in the evening, especially on Saturdays and Sundays evening, since there will be lots of interesting and entertaining activities to show off. The most noticeable activity is the music show and dancing show. Walking along the street and unexpectedly hearing those interesting sounds will make you feel curious and once you come to see, you would definitely join in the crowd thanks to the friendly people and the amazing songs as well as some incredible performance. What’s more, this is a place where exhibition or art gallery can be also displayed giving a moment to explore another aspect of life. Besides, if you pay more attention when walking on this street, you would find someone who is actually a living statue cosplay only standing or sitting the whole time without moving. This is the good time for you to catch a photo of them or take a picture with them, too. If you are wondering about the other conveniences such as food and beverages and shopping and resting, Nguyen Hue walking street can meet your satisfaction. Along both sides of the road, there are food stalls, restaurants, coffee shops, milk tea shops, fast food as well as convenient stores. If you want to go shopping, there are lots of shops nearby as well as Vincom Shopping Center where you can find such a wide range of attractive choices to meet your need. 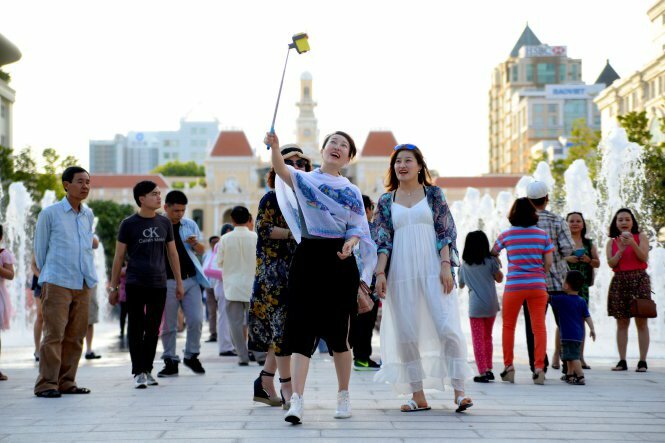 To join the locals walking on Nguyen Hue Street, you would love to visit nearby the Notre Dame Basilica in Ho Chi Minh City which takes five minutes walking and the Opera House on Dong Khoi Street which takes about ten minutes to reach, which are both two of the most attractive destinations that must visit. Only with such a few words cannot express the brilliant beautiful and gorgeous landscape of this place. Visiting Nguyen Hue walking street is similar to taking part in a small version community of Vietnamese people where you can find much more joys and interests!